Artwork By [Package Design] – David Gorman/HackMart, Inc. Tracks 1-12 scheduled to be released as <i>David</i>, Motown 733, circa June/July 1971. 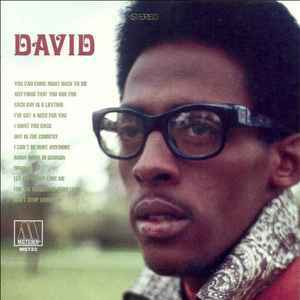 Some sources list the album title as <i>David Ruffin</i>, which became the title of his following LP, in February 1973. Tracks 1, 4, 11 and 12 issued as mono singles. All songs recorded at Hitsville (Studio A) and Golden World (Studio B), except the backing track for "Dinah," and overdubs in "For The Shelter Of Your Love" and "Get Away Heartbreak," as noted. All songs previously unreleased except as noted. From Hip-O Select: CD edition limited to 3500 individually numbered copies. VINYL PLEASE ! ! ! This edition is a treasure ! ! ! A 'Four Star' collection that only gets two stars from me due to the poor mastering job. This release is heavily compressed and features almost no dynamic range - your ears start to hurt after only minutes. Maybe they thought that the target audience was pretty much deaf at this point in their life. The sad part is that if they aren't already deaf, they will be after hearing this CD. I should note that the music is pretty good (as I mentioned earlier, 4 out of 5 stars to me)... it is just hard to enjoy it when the presentation (in this case, the mastering) is handled so poorly. I can't speak of the mastering job for the 2012 reissue, but it has the same credits for the mastering engineers, so I doubt it is any different than this original issue. Either way, this should have been done by someone with a lighter and more discriminating touch - Steve Hoffman comes to mind. The album was titled as such (DAVID), because it was never given a proper title. It was given a catalog number and track sequencing with David Ruffin penciled in as its name, but that was used as the title for his 1973 album. A damn shame all these songs were in the vaults for sooo long (over 3 decades) and also a shame that it hasn't been released on vinyl (yet)! The CD is long out of print...they should be rerelease this one - but this time on VINYL!